In this episode, Liz and I obliterate some of the common roadblocks, misconceptions and myths when it comes to following your passion. You see, you can do what you love. But you have to let go of what’s holding you back. Also, in this episode you’ll get a brief update on Liz’s writing. In the previous episode, I helped Liz increase her writing speed by 300%, so if you haven’t listened to that, do it. Let’s move onto to today’s episode. What if you’re equally passionate about multiple topics? What if there’s a lot of competition in your market? You can also subscribe to the podcast in iTunes and get automatic updates. 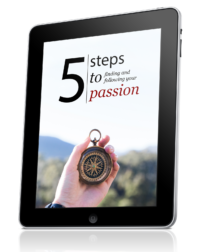 And if you want to dive deeper into finding and following your passion, check out the Live Your Passion Course. 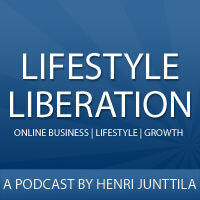 Another wonderful podcast Henri and many more points covered on passion seeking than in the previous podcast with Liz. I was also a bit shocked too when you mentioned to go forward even when you still haven’t defined your passion yet. I actually would recommend doing the same because passion not only can be found somewhere down the road but it can also shift to something else… So why wait to be 100% certain of what you want to do, if it can change at any given point? Of course that’s only my point of view on this. Talk soon man and take care! Right you are, Sergio. The important thing is to start, especially if you’ve been trying to figure things out. Excellent post guys. You touched on many questions that have crossed my mind at one point or another (and continue to do so). I totally relate to having many passions and struggling to focus on just one at a time!! On the point of atoms – even the particle parts of atoms aren’t actually ‘made’ of anything! Just quanta of energy vibrating – intangible. So there is no physicality. Your point about patience is so important too – we need bucket loads of patience to be entrepreneurs – and that’s tough sometimes. That’s interesting about the atoms. Funny how it’s all a bunch of nothing. Great questions from Liz, awesome answers from Henri. I can relate to a lot of what you guys talk about as I also played poker professionally for about 5 years. It’s crazy how conditioned we are to think that we need a traditional job or else we’ll be excluded and considered irresponsible. That’s why this trailblazing business is so important – to show that it is indeed possible to follow your passion and live life the way you really want to.